Spirituality remains a concept and a philosophy until I make it personal. How do I become more spiritual? Not just in knowing about it, but in living it practically such that my life reflects the values that are innate in the self. 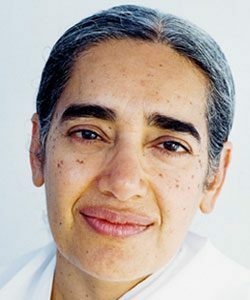 In this section Sister Jayanti takes us to the heart of spiritual study and practice: the self, God, karma and practice. I decided that I'd start my spiritual education by going to the Brahma Kumaris, and I met Dadi Janki, and she talked to me about conscience. They say that 80% of the time our thinking is based on the patterns that we created between birth and seven years of age, and it said we're on automatic pilot most of the time, just reacting. My own understanding and experience is that every human spirit starts with goodness, and this is what gives me hope for the future of humanity. God isn't something that's mystical. But, in my very simple understanding it means there is one soul who is supreme, because that soul has all the attributes to their maximum extent. I didn't start off with belief. My belief came as a result of understanding and experience. All the political crises that we're thinking about, and the injustice that seems to be happening, again to me it's because our moral compass is not aligned. If I want to experience spiritual power in my life, if I want to experience that transformation, and a return to my own original goodness, then I have to be a little bit disciplined. I hold that awareness of myself as a being of peace, and connect with the divine, because if I want to serve the world and share peace with the world. A person who's lost hope for themselves, they've lost touch with the inner peace that belongs to them originally, a moment of stillness, a few minutes of stillness, and they're able to rediscover the inner beauty of the soul. What spirituality is saying is move on, move on. If you hold on, even in your memory to the past, you're going to be emerging those same feelings and you're more likely to repeat the same mistake. Let go. Move on. When there's anger there's actually no possibility of changing the situation, and things get worse and worse. We are the creators. We've created this world as we see it, but it's up to us to change ourselves and create a different type of world. Having grown up in the slums of Nairobi, Millie & Patrick faced violence, crime and despair. At vulnerable points in their lives, they were introduced to yoga through the Africa Yoga Project.